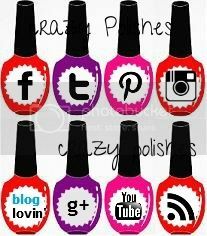 Last week Picture Polish released another set of blogger collabration shades alongwith few opulence shades. If you follow me on Instagram than you know that I did a "small" haul(here) at picture polish. Some of these shades were in my wishlist since they released and I still have many yet to buy. Anyway, I have Fool's Gold to share with you today. 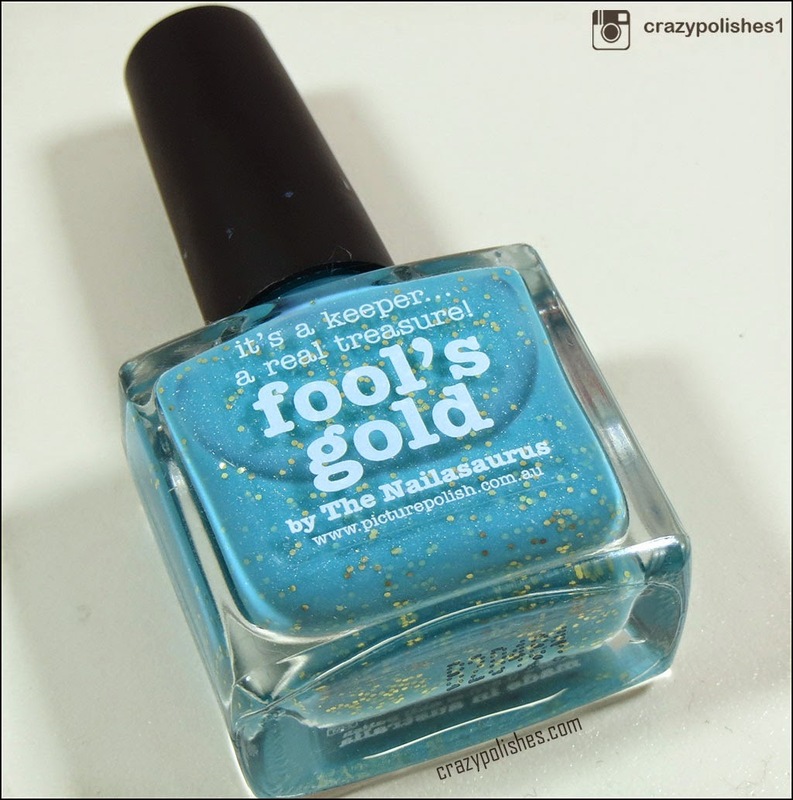 Fool's Gold is 2014 collaboration shade with The Nailasaurus. 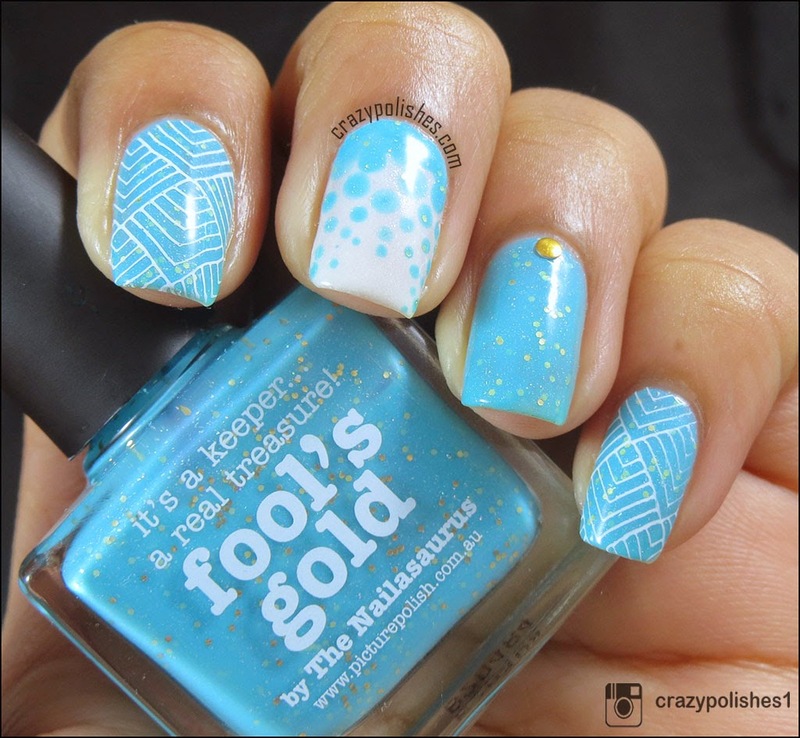 The inspiration of this polish in Sammy's words is "I wanted it to look like flecks of gold as seen through deep, tropical waters and the result is absolutely on point!" 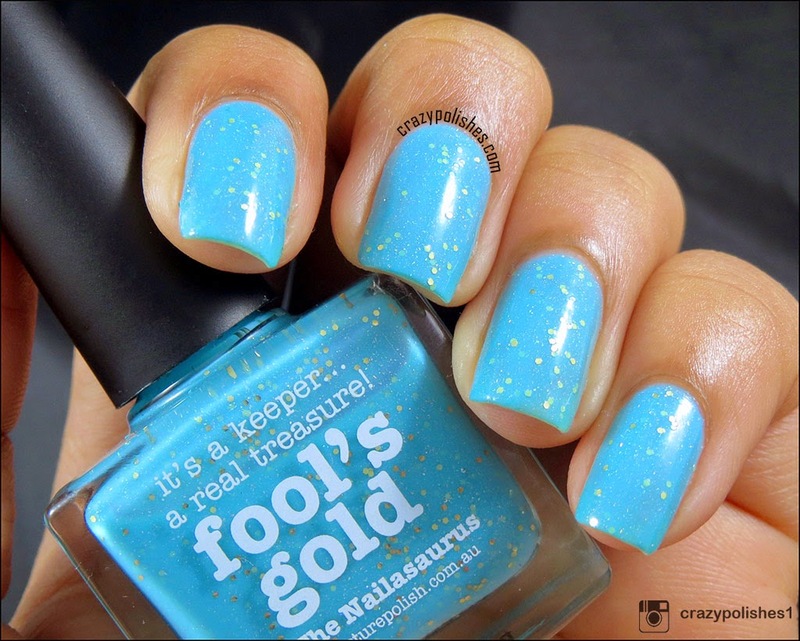 Fool's Gold is turquoise jelly-ish polish with subtle scatter holo and small gold hex glitters. I applied 2 coats for following pictures without any top coat. 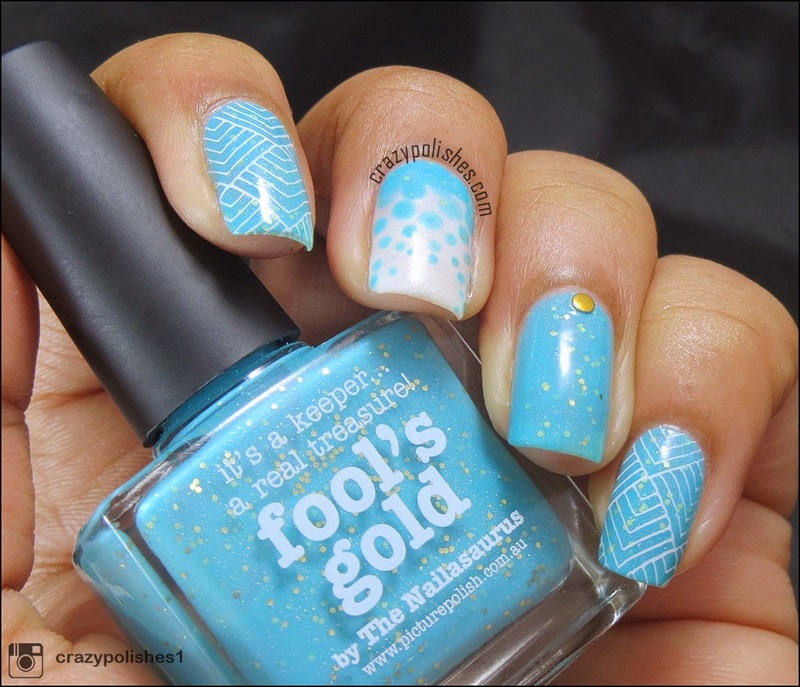 Here is a manicure i did using Fool's Gold and Moyou Fashionista plate 04. I like this polish very much. Its so subtle and elegant. 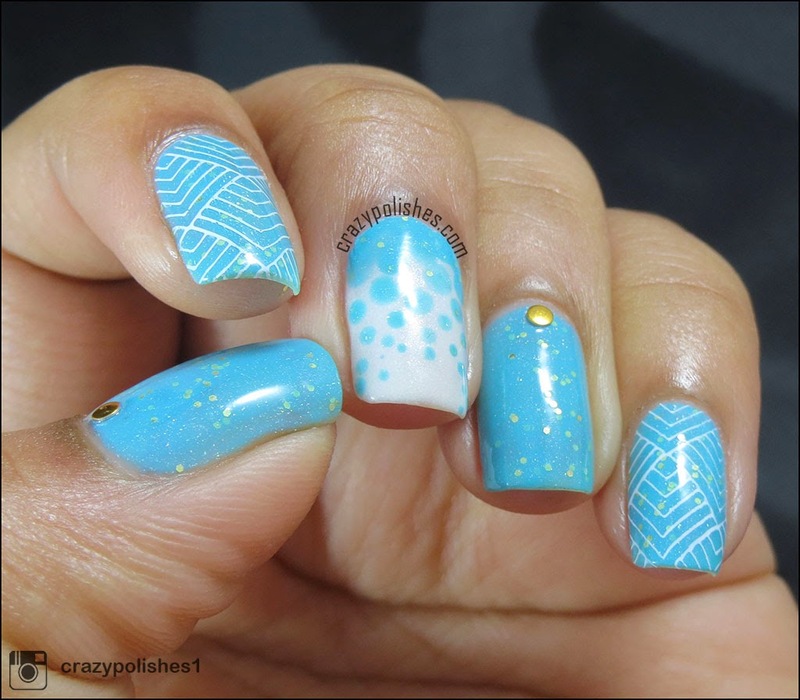 This can be one of those polishes which are perfect to wear to the office, neither boring nor too bold. 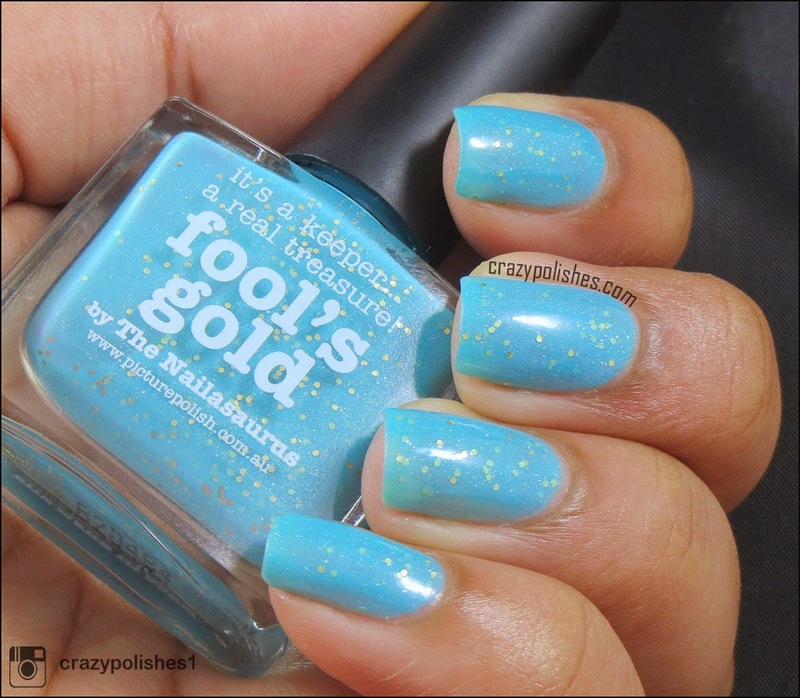 Fool's Gold is available on Picture Polish website. You can check out their network to find one near you.